Following from the recent discussion on ethical collecting of Indigenous art in Leichardt, Sydney, Melbourne is tackling the topic this weekend. An expert panel lead by gallerist Vivien Anderson will discuss issues around the buying of Indigenous art and artefacts by public institutions and private collectors. Also taking part are Maree Clarke, Rosemary Wrench and the discussion will be moderated by Kimberley Moulton. This takes place at the Counihan Gallery In Brunswick - a municipal establishment, presumably named after the Melbourne artist, Noel Counihan. 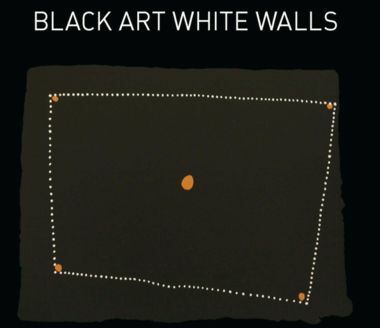 The discussion will take place in the appropriate presence of artworks from the Adrian and Anne Newstead Collection - touring widely around the country under the title, Black Art | White Walls. This exhibition - containing significant works by the Apuatimi Family from the Tiwi Islands, by Mick Kubarku, David Malangi and Peter Maralwanga from Arnhemland, David Jarinyanu Downs, Queenie McKenzie and Rover Thomas from The Kimberley, Emily Kngwarreye, Clifford Possum and Sunfly Tjampitjin from the Deserts, and Dennis Nona from the Torres Straits - runs until to Sunday 8 November. Vivien Anderson has specialised in Indigenous Australian art for the last 30 years with extensive experience in the commercial gallery sector, exhibiting and representing Indigenous Australian artists in her gallery. 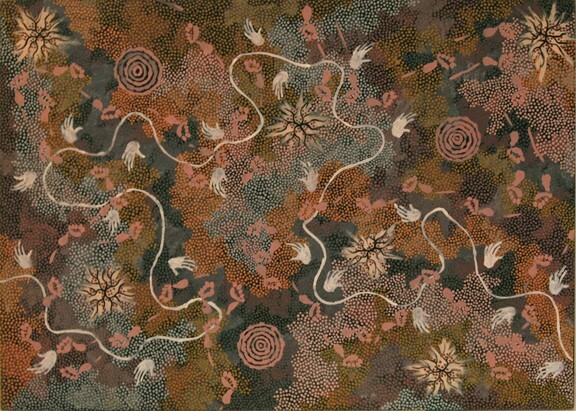 Vivien is a board member of the Australian Indigenous Code of Conduct, the Victorian, Tasmanian and South Australian representative Board member for the Australian Contemporary Galleries Association and a Commonwealth Government valuer for the last 20 years in the field of Indigenous paintings sculpture and textiles post-1900. Kimberley Moulton is a Yorta Yorta curator and writer and is the Project Officer for Bunjilaka Aboriginal Cultural Centre at Melbourne Museum. Kimberley is an Alumna of the National Gallery of Australia Wesfarmers Indigenous Leadership Program, the British Council ACCELERATE Program in 2013 and most recently was the recipient of the inaugural National Gallery of Australia Indigenous International Curatorial Fellowship with the Kluge-Ruhe Aboriginal Art Collection in Virginia, U.S.A.
Maree Clarke is a Mutti Mutti, Yorta Yorta, BoonWurrung woman from Mildura in northwest Victoria. Maree is a multi disciplinary artist living and working in Melbourne who has been key to the reclamation of south-east Australian Aboriginal art practices. This includes rediscovering the use of possum skin cloaks, kangaroo teeth necklaces, and string headbands adorned with kangaroo teeth and echidna quills. Maree was also formerly the Senior Curator and Exhibition Manager at the Koorie Heritage Trust. Rosemary Wrench has had a long association with Museum Victoria working as a researcher, collection manager and curator on various projects involving the Indigenous Collections. Rosemary was the Senior Curator of the Many Nations section of the First Peoples exhibition at the Bunjilaka Aboriginal Cultural Centre at Melbourne Museum. She accessed over 16,000 objects at Melbourne Museum and 100,000 images from Australian and International collections and photographers during research for the exhibition. She is currently Senior Collection Manager of the important Donald Thomson Collection at Museum Victoria. 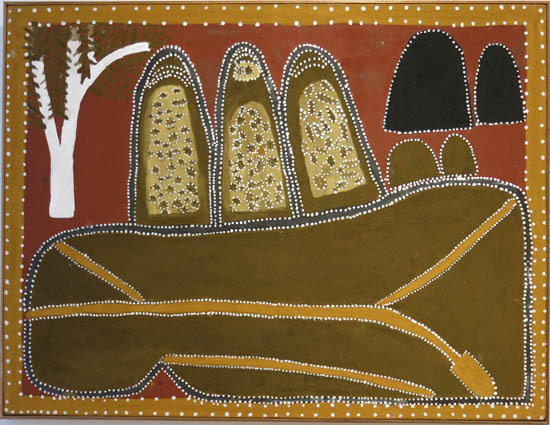 Clifford Possum's 'Dingo Dreaming' (1993) at the Counihan Gallery in Brunswick, Melbourne.